There are few women whose wardrobes have truly shaped the tastes of a generation, yet this is certainly the case for Diana, Princess of Wales. From young unknown bride to arguably the most famous woman on the planet, her somewhat tragic story might read like a larger-than-life tale, but the style of this royal icon is anything but outdated and, over the years, has in fact remained fresh in the public's collective consciousness. 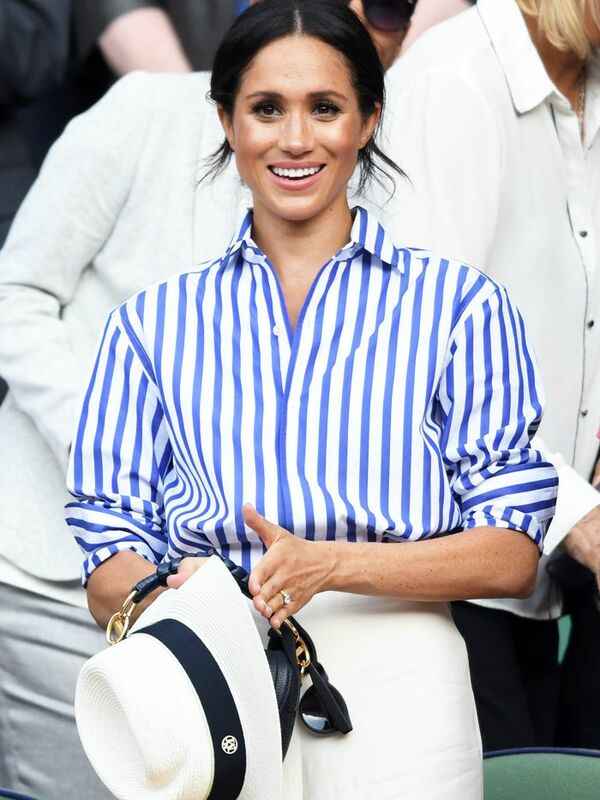 Paving the way for Kate Middleton and Meghan Markle, Princess Di's outfits became the subject of countless column inches, and her preppy-chic look helped shape the hottest trends of the '80s and '90s. Long before social media, Diana was the original influencer. During her courtship with Prince Charles, she was pictured wearing a pair of Hunter wellies, which immediately led to a massive spike in sales. It was also Diana who, in the '80s, kicked off the trend for piecrust collars and pearls. Her style might seem conservative to us now, but back in the day, she used her wardrobe to thwart royal convention. Diana famously decided to forgo gloves to meet and greet members of the public, and, of course, let's not forget the infamous "revenge dress" that she wore shortly after Charles admitted to an affair. Not only a reflection of her impeccable taste, fashion became a vehicle for her to connect with people and even make a political statement. To mark 21 years since Diana's untimely death, we decided to explore the four key fashion trends that defined her aesthetic and miraculously still stand up today. From her off-duty outfits that pre-figured athleisure to her kickass power suits (which feel so F/W 18), scroll down to see our favorite looks and fall in love all over again. As every royal worth their salt knows, a good suit is essential for all those formal events, and Diana definitely paved the way for Kate's collection of tailored two-pieces. There is something so 2018 about Diana's approach to power suits—just look at her on-trend head-to-toe-beige ensemble. Her penchant for skirt suits also needs a mention as they've made a serious comeback for F/W 18. Zara's tweed number could have easily been plucked from the wardrobe of the woman herself. Two words: cycling shorts. Princess Diana was so ahead of her time when it came to this divisive trend, and she loved to rock a combo of leggings, sweater, and chunky sneakers that wouldn't look out of place on the streets of fashion week. The term athleisure was yet to be coined, but Diana harnessed the power of the chic gym ensemble long before the Kardashian sisters were even born. When she wasn't in a power suit or kicking back in sneakers, Diana was all about the preppy separates. Whether it was collecting the kids from school or enjoying a family day out, mom jeans, boots, and a blazer were the order of the day. Aside from the obvious return of '80s-style high-waisted jeans, F/W 18 sees a renewed love for Diana-inspired heritage pieces—think checked blazers and cream polo necks. The royal also wasn't immune to the charms of Western boots, another trend that is set to surge this season. From her fantasy wedding gown to her little black "revenge dress," Diana's frocks make up a large proportion of her most famous looks. Her iconic piecrust collars are echoed in the designs of-the-moment dress brand Basheva while the ruffled monochrome midi she wore on arrival in Thailand bears a striking resemblance to Topshop's It polka-dot dress. Now that's what we call timeless style.